The Association of Public Service Excellence (APSE) is delighted to announce its official partnership with Finders International. This partnership will provide its network of local authorities with access to professional expertise in identifying and tracing next of kin of deceased persons, as well as Missing Will and asset searches. 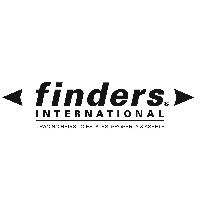 Founded in 1997 by Danny Curran, Finders International is a leading professional probate genealogy firm with offices in London, Edinburgh and Dublin. It also stars in BBC One’s Heir Hunters programme and is frequently asked to contribute its expertise and opinion to TV, radio and press – nationally and internationally. The board of Association for Public Service Excellence (APSE) said it was delighted to announce Finders International as an approved partner and anticipates great demand for the services that the Finders team of researchers can provide to local authorities. Celebrating more than twenty years in business, Finders International has an exceptional team known for providing a fresh and dynamic approach to assist the public sector identify and trace next of kin of deceased persons free of charge. It also can verify identities and relationships of those claiming to be next of kin, search for a Will, search for assets, provide appropriate insurance policies to minimise risk, as well as offer access to Finders International’s unique Funeral Fund to help pay for Public Health Act Funerals. Finders’ expertise in the combined worlds of tracing next of kin, asset and Will search as well as its charitable Funeral Fund will be highly beneficial to any APSE members involved in Public Health Act Funerals, Deputyship and Appointeeship teams. Members will also benefit from Finders’ National Deputyship Development Conference in London on the 26th September 2018. The keynote speaker is Denzil Lush, former Master and Senior Judge of the Court of Protection. Please find more details on Finders‘ website.